We're nearing the end of our 12 Days of Mochas. I have had so much fun experimented with syrups, sauces, chocolates, and flavor combos. I sure hope you like all the different ways to enjoy a mocha. If you missed any of the previous days check them out HERE. 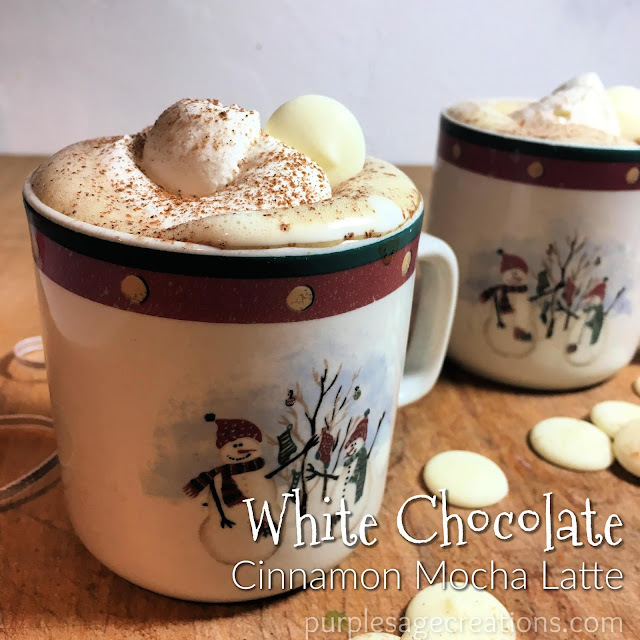 On the 8th day of mochas I shared the yummy white chocolate cinnamon mocha. It's one of my favorites. Not only because it's delicious, but because it's so easy to make. I make it when I don't have any white chocolate sauce available. All I have to do is add the white chocolate chips to the frothed milk. 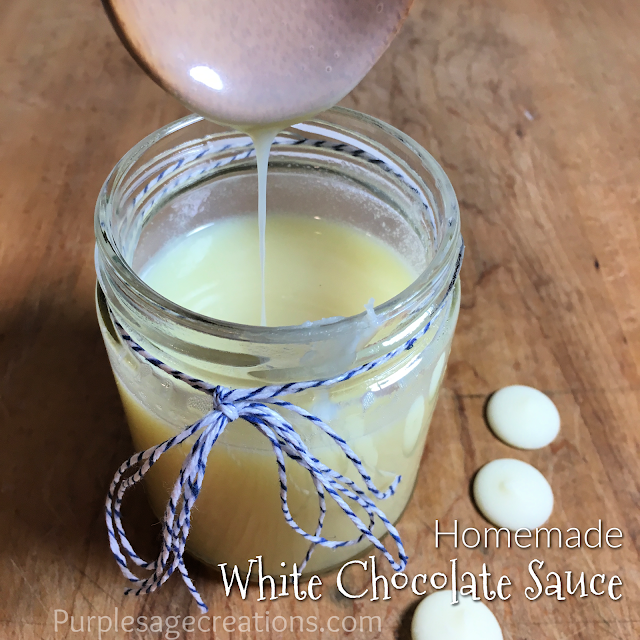 But I like having white chocolate sauce made because it's so versatile. I can use it for ice cream, pancakes, desserts, regular coffee, etc. Plus I can use it combine flavors when making my mochas. It's easy to make and lasts up to a month in the fridge. 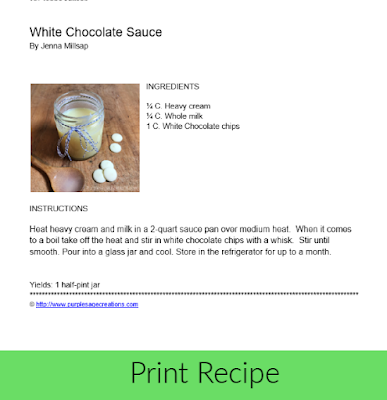 All you need is heavy cream, milk, and white chocolate chips. Heat on the stove and pour into a glass jar. Heat heavy cream and milk in a 2 quart sauce pan over medium heat. 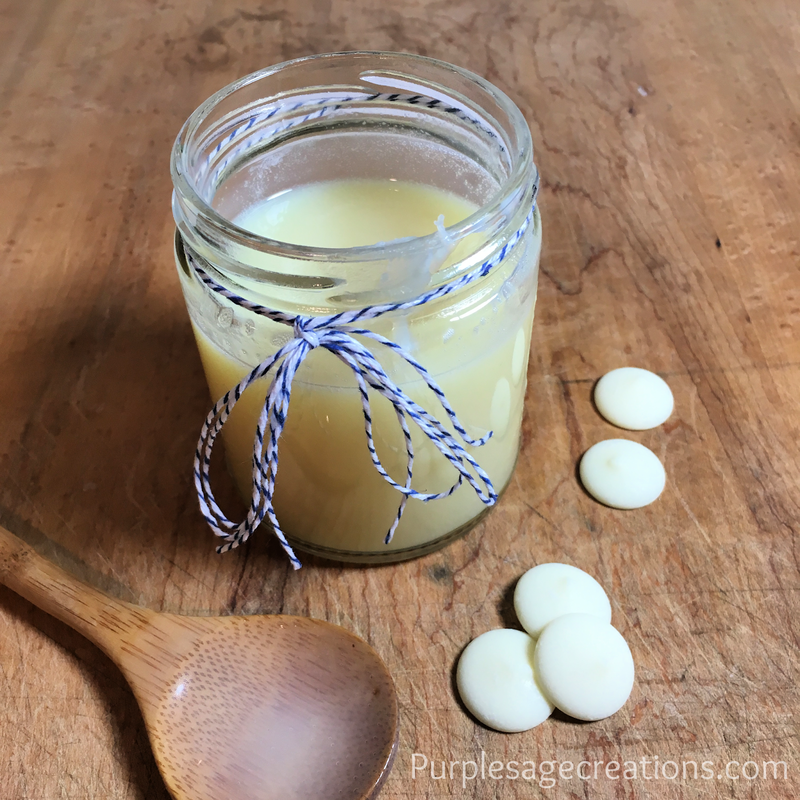 When it comes to a boil take off the heat and stir in white chocolate chips with a whisk. Stir until smooth. Pour into a glass jar and cool. Store in the refrigerator for up to a month. If you would like a smoother texture add 2 tablespoons butter when you add the white chocolate chips. Stir until melted. The sauce thickens as it cools. For a better pouring consistency, microwave uncovered for 30 seconds.